Unfortunately a week has ended. 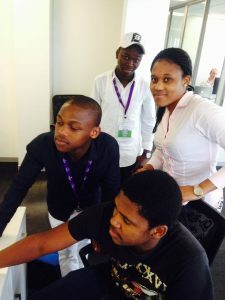 It is one of my best week ever in terms my experience with junior developers. I learned a lot from summer school. Thank you to immedia management for such a great opportunity, it really has sharpened my applications development skills, more especially android app development. Special thanks to my mentor Nosipho, she gave me everything I needed to know. We covered grid views, recycler views, toolbars, tabs, navigation drawer, fragments, activities, intent, and Rest APIs, it is all up to me now. Thanks to everyone else around who made me feel comfortable and accepted within the company.